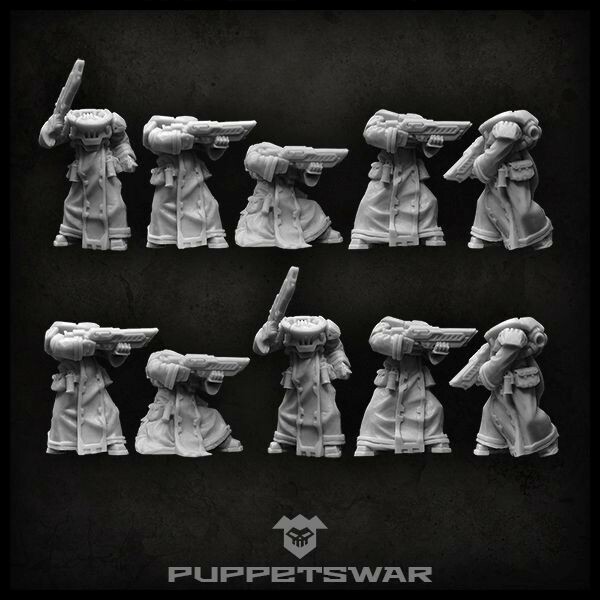 Puppets War haben Sets neuer Tech Troopers in ihrem Shop. 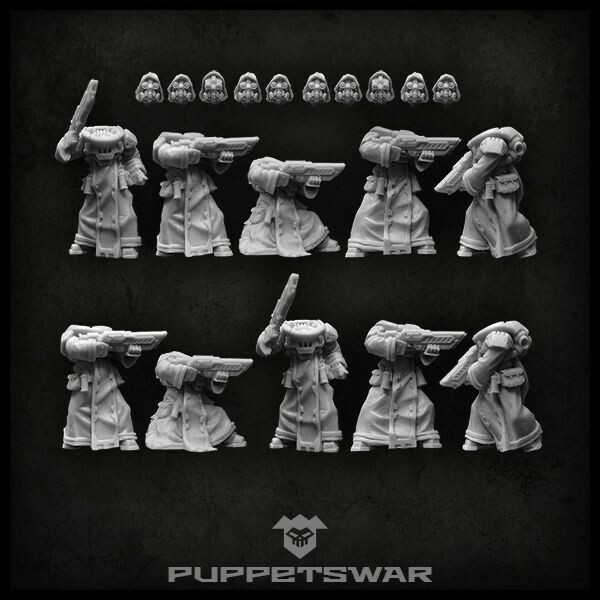 Set contains 10 Tech troopers. 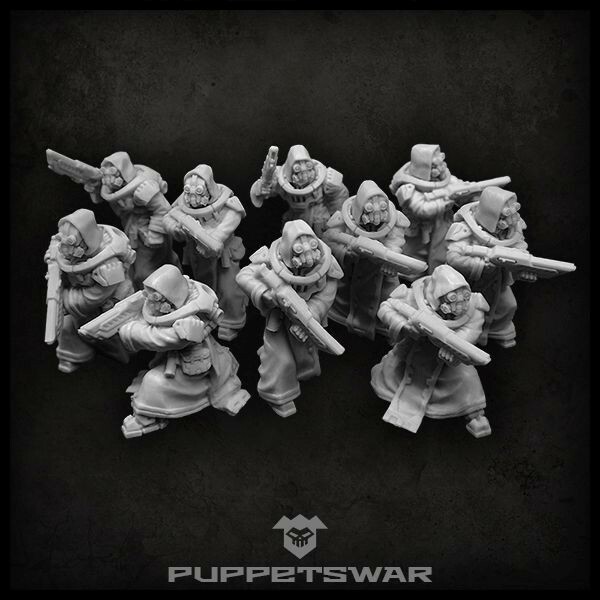 Models are designed to fit 28mm „heroic“ tabletop wargames scale, (max 33mm height) supplied unassembled and unpainted. Set contains 10 Tech troopers bodies. 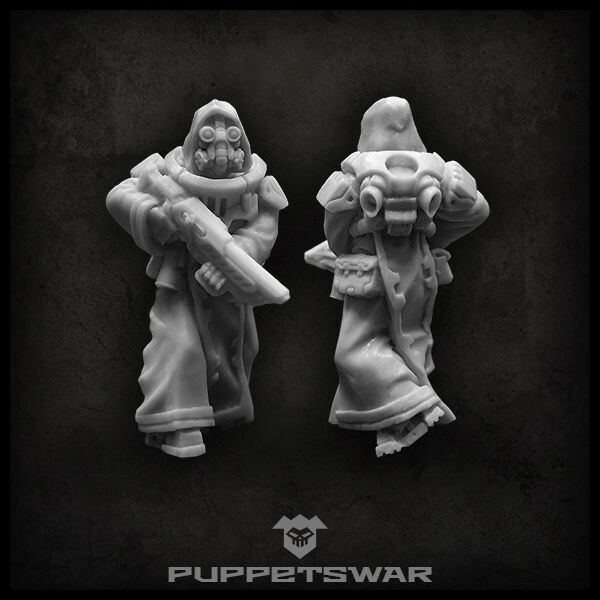 Models are designed to fit 28mm „heroic“ tabletop wargames scale, supplied unassembled and unpainted. 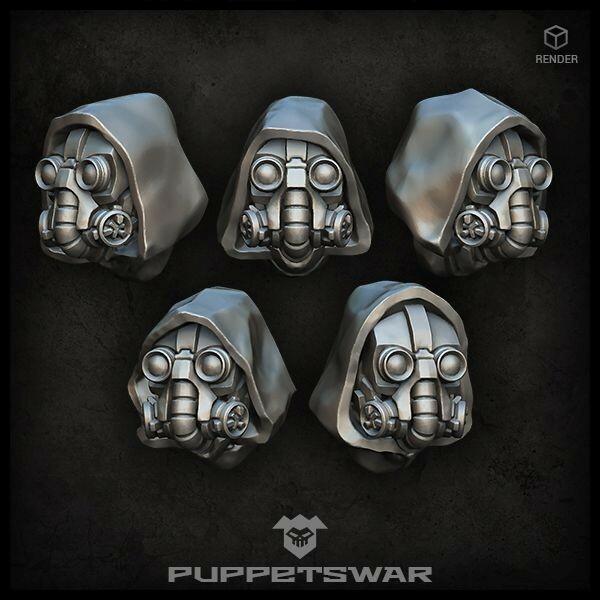 Designed and sculpted by Puppetswar Art Team. Set contains 10 resin Tech monks heads, designed to fit 28mm tabletop wargames scale, supplied unassembled and unpainted.